*INCENTIVES* 1 Bdrm w/ Balcony ~ Walk to MacEwan! 1 Month FREE on a 13 Month Lease!! *Limited time offer on select suites only, some conditions apply. Residents of Curium Place Can Receive 40% off Telus Home Services or Exclusive Deals with Shaw!! *See site manager for details, subject to Telus/Shaw availability & conditions. Perfect for all ages, your new home gives you a wide range of options from one bedroom, one plus den or a two bedroom suites. Curium Place features bright, spacious suites with newly renovated balconies. 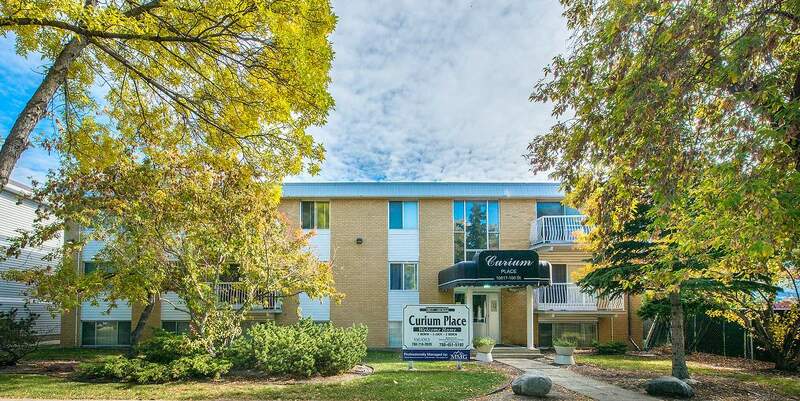 Located on bus routes, just minutes from MacEwan University and the new Ice District, Curium Place is conveniently located close to all amenities. The perfect place to call home! Heat, water & one parking stall included. Small dogs & cats permitted (upon approval, fees apply). Security Deposit only $499. Call 780-902-3772 today to view a suite at Curium Place! Mini 1 Bdrm w/ Balcony, Vinyl Plank & SS Appliances! !